Several National Cultural Treasures and Important Cultural Properties were declared by the National Museum in May, August and November this year. 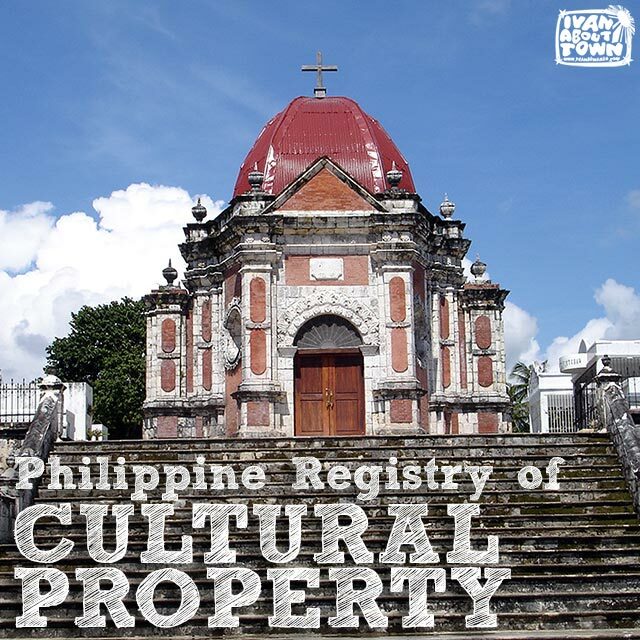 The Philippine Registry of Cultural Property (PRECUP) has been updated. 9. The Sacred Art of the Parish Church of Santiago Apostól in Paete, Laguna (four paintings in situ). 11. The Roman Catholic Cemetery (Camposanto) of San Joaquin, Iloilo, as an integral part of the Church Complex of San Joaquin, declared as a National Cultural Treasure in 2003, and which henceforth are to be known collectively as the San Joaquin Church Complex and Camposanto of San Joaquin (Iloilo). The Apu Santo Cristo image of Lubao, Pampanga was declared a Cultural Property (Category III). Last year, the Sta. Catalina de Alejandra Parish Church in Arayat, Pampanga was also declared a Cultural Property (Category III). Last December 2014, the Parish Church of Sto. 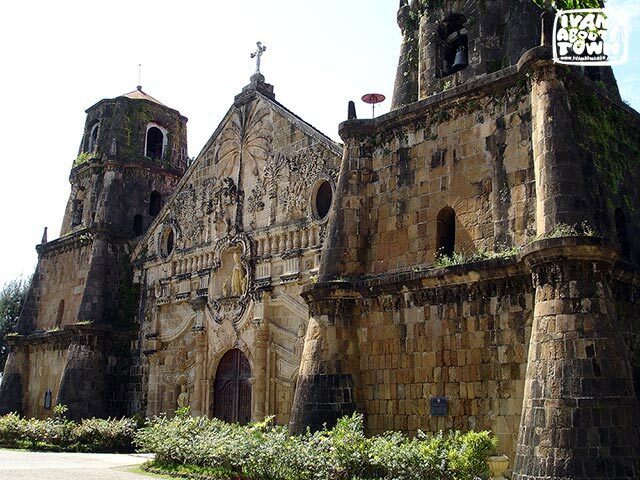 Tomas de Villanueva in Miagao, Iloilo and the Nuestra Señora de la Asuncion Church Complex, both World Heritage Sites, and the Fortifications of Manila at Intramuros and Fort San Antonio Abad, were declared National Cultural Treasures. Also this year, the National Historical Commission of the Philippines declared the Apolinario Mabini Monument at the National Library and the Quezon Monument at the Quezon Memorial Shrine in Quezon City as National Monuments. The National Museum is mandated to declare cultural properties of the Philippines as either Important Cultural Properties or National Cultural Treasures, pursuant to several laws, including Republic Act No. 4846 (“The Cultural Properties Preservation and Protection Act”) as amended by Presidential Decree No. 374, Presidential Decree No. 260, Republic Act No. 8492 (“The National Museum Act of 1998”) and, most recently, Republic Act No. 10066 (“The National Cultural Heritage Act of 2009”). These declarations were made as a result of the National Museum’s own research, recommendations from other government agencies or, in the majority of cases in 2015, petitions made by property owners or concerned parties. Nominated properties were, when necessary, evaluated by dedicated panels of external experts convened for the purpose and approved subject to the confirmation of the Director of the National Museum. The purpose of declaring selected Philippine cultural properties as Important Cultural Properties and National Cultural Treasures by the National Museum is to, first and foremost, highlight their significance to the entire world that they are officially recognized as an intrinsic part of the patrimony of the Filipino people and are central to the legacy that the present generation should take special care to steward for the generations to come. They are an acknowledgment of the best of what we have inherited, in order that we may care for it, enrich it further, and pass it on in turn. In practical terms, these declarations under the law serve to facilitate, through such agencies as the National Museum, the National Commission for Culture and the Arts (NCCA), the National Historical Commission of the Philippines (NHCP), the Tourism Infrastructure and Enterprise Zone Authority (TIEZA) and others, measures for the protection, preservation and promotion by the national government of these exceptional and outstanding cultural properties, which may be either movable or immovable, and tangible or intangible, in partnership with concerned public, private and civil society stakeholders as well as the local governments and communities.